Arabic websites say religious Jewish visitors to Kerak were attacked with shoes and rocks. Arabs in Kerak, Jordan, attacked Jewish tourists because they wore "provocative hats" and other items of clothing worn by religious Jews, according to Arab websites. The incident took place Sunday afternoon, when a group of Jews visited the Jordanian tourist site, where a Crusader castle is located along with other attractions. According to Al Jazeera, as translated by bloggers, "Salem Jeradat – who owns a grocery in the town – was surprised Sunday afternoon by a delegation of Jewish men and women who were wearing the clothing of religious Jews, which led him to throw his shoes at them." "'Then the people of the town immediately approached the group, threw shoes and stones, and kicked them out of town,' Jeradat said. 'The people of Jordan do not accept the Jews entering their homeland, and the Araba Valley treaty between Jordan and the Zionist entity does not represent us.'" Al Jazeera explained, "The idea is that those who occupy Palestine and desecrate holy places should not be allowed to roam freely in Jordan. Citizens of the town gathered in the evening in a grocery and committed themselves to prevent Jews from returning to their town." 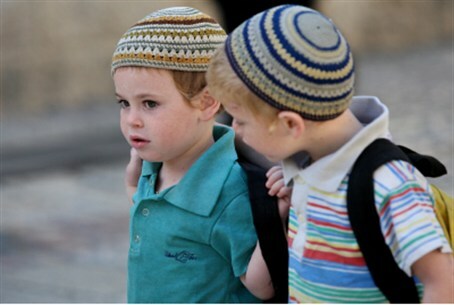 Elder of Zion blog noted that another Jordanian website added that the Jewish tourists were wearing "provocative hats."